Oct. 01, 2015 + + + Oldham believes that no gas detection controller should be designed that does not take functional safety standards into consideration. Although there is no legal requirement that gas detection systems to be certified to or above a SIL 1 performance level (Safety Integrity Level - according to IEC/EN 61508 and EN 50402 functional safety standards), the fact remains that these systems are life safety devices. Because of our unwavering insistence on the safety and reliability of our detection controllers, and the broad range of applications in which they are used, we adhere to the strictest functional safety standards. 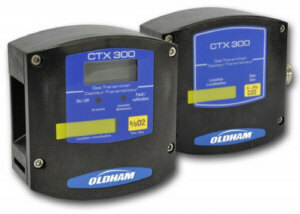 Whether the application presents an elevated risk of explosion and serious consequences to employee safety, or involves toxic gas detection in high risk areas such as water treatment facilities, Oldham guarantees the one of the most effective and safest solutions for your gas detection requirements. About Oldham SAS: Oldham SAS has more than 100 years of experience in safety, gas and fire detection systems. Oldham SAS is headquartered in Arras, France, and is a subsidiary of Scott Safety, a company of Tyco Group. Oldham employs hundreds of people globally with operations in France, USA, China, India and Germany. Oldham�s mission is to be the best provider of fixed-point gas detection systems worldwide. Its wide range of application-driven products and expertise embody performance, quality and reliability. For more information, visit www.oldhamgas.com. Industrial SafetyTechnologies (IST) was acquired by Scott Safety, a Tyco business, from Battery Ventures in March 2015. The combination of IST, a global leader in gas and flame detection, and Scott Safety makes Tyco one of the largest global designers and manufacturers of gas and flame detection products, and reinforces Tyco�s commitment to growing its gas and flame detection business.